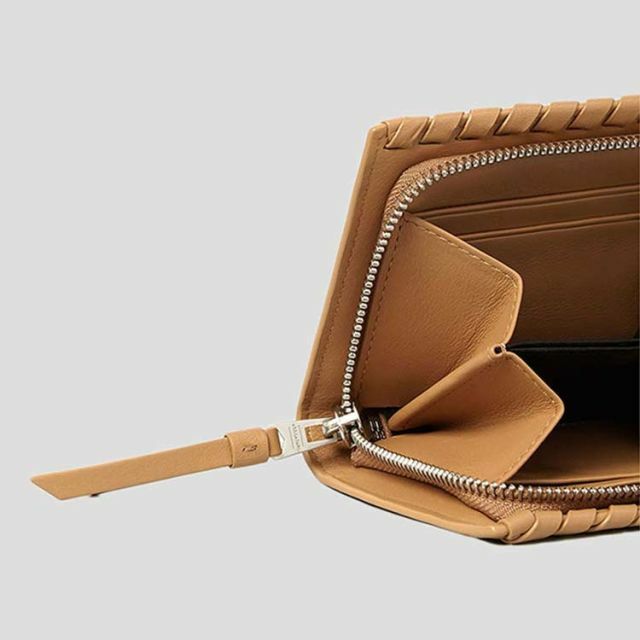 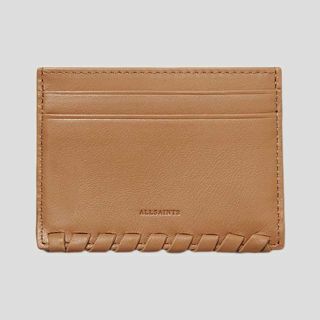 A small smooth leather wallet featuring whipstitch detailing around the edge. 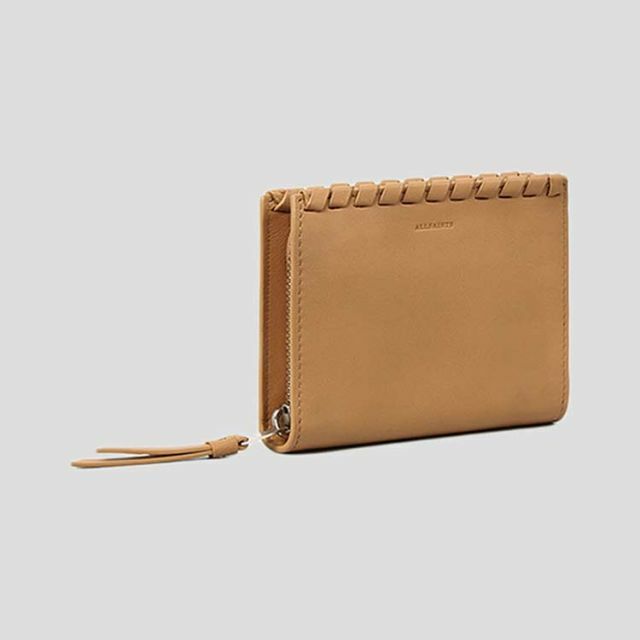 Contains 3 compartments and 6 card slots. 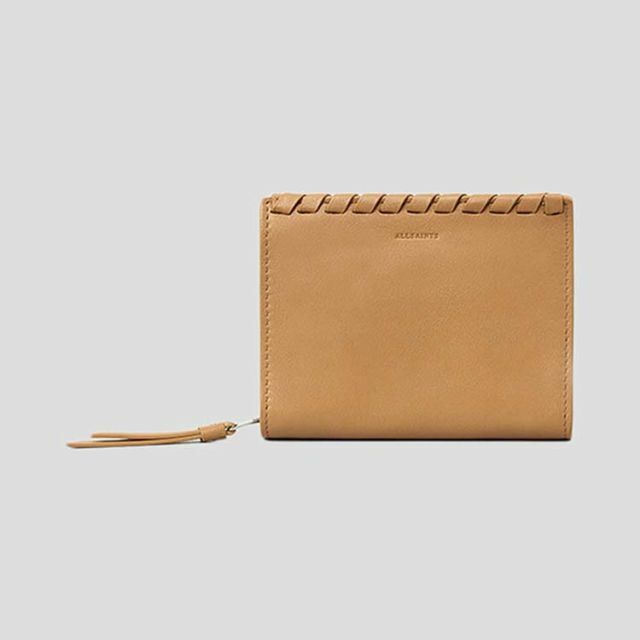 Zip closure with branded pull and leather tassel. 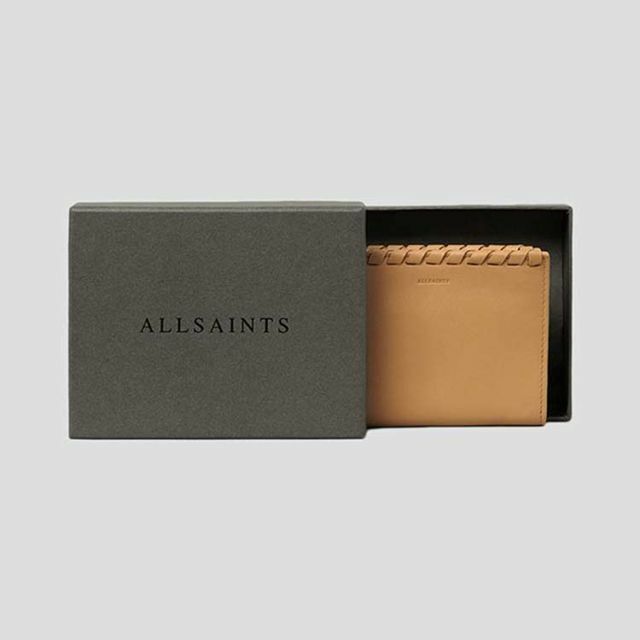 Grosgrain lining.